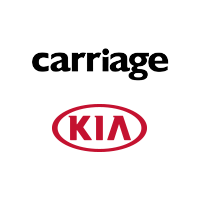 Carriage Kia of Woodstock recognizes that there is no greater honor than the courage and sacrifice of laying down one’s life for his or her country. If you have been or currently are an active member of the United States Armed Forces, we want to show you our appreciation by offering a special rebate on a new Kia vehicle to you and your family members. Customers eligible for the Kia Motors America, Inc. (“KMA”) Military Specialty Incentive Program must be an active member of, honorably discharged from, retired from, or on disability with the United States Armed Forces or Reserves (includes those that have “national” status from another country and are serving in the United States military) or the spouse of the eligible participant. Eligible customers or his or her spouse must provide a copy of one of the following to a Kia dealer at the time of purchase: a current Earning Statement, a copy of the honorable discharge papers, a bank statement indicating a pension or disability earnings from the United States Armed Forces, or an official document indicating future pension eligibility. Military ID is not a sufficient form of proof of eligibility. If eligible customer is a spouse of participant, proof must be provided of the spousal status by providing proof of marriage (marriage certificate). This incentive is for a limited time offer on eligible Kia vehicles. No cash value. Additional terms and conditions apply. See your participating dealer for more details. For more details about the Military Specialty Incentive Program, and for information on how you can take advantage of this incentive, give us a today call at (678) 744-2001 or click the “Contact Us” button below.